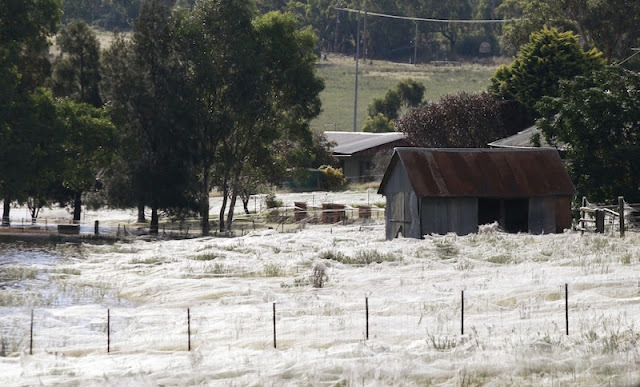 That's not snow…THAT'S NOT SNOW! 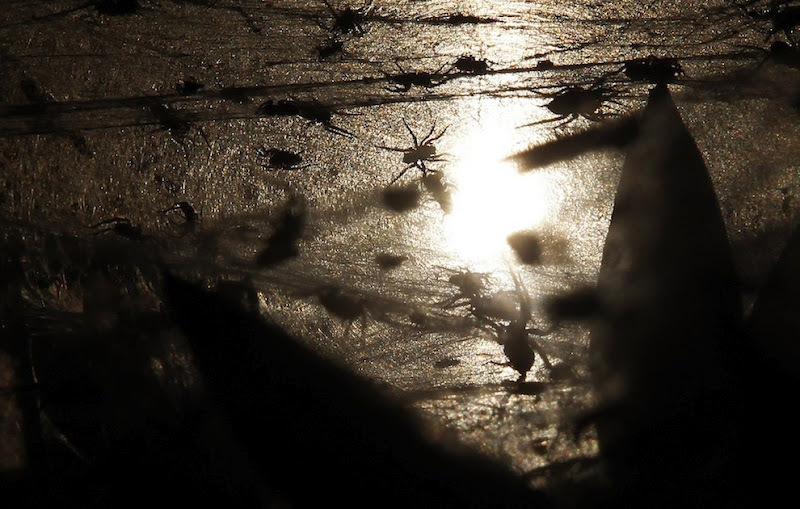 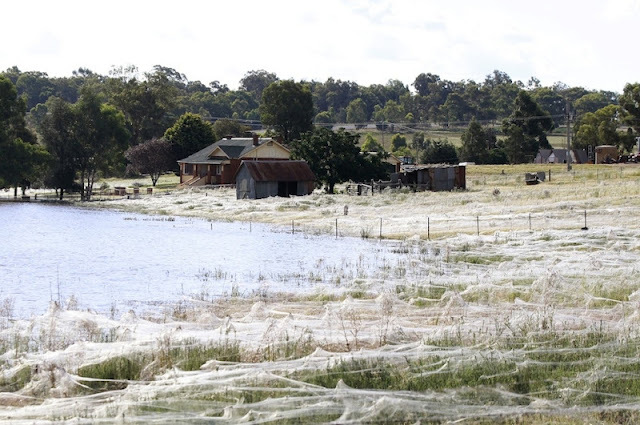 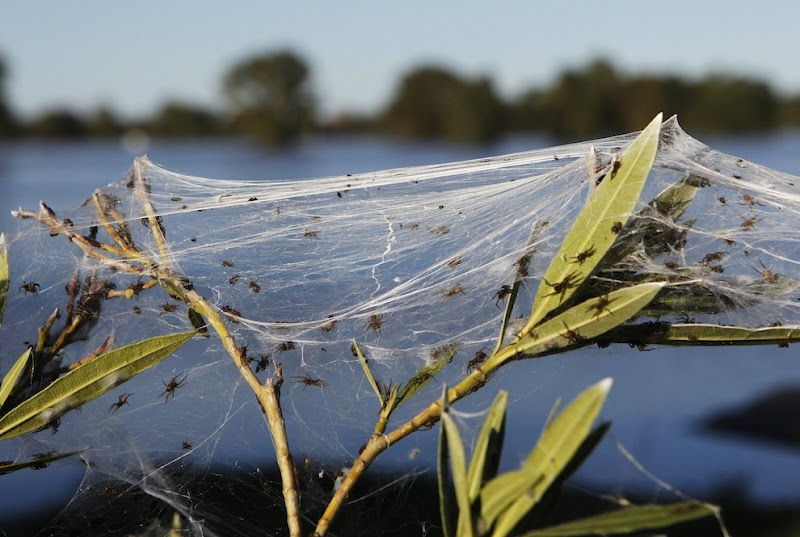 The severe flooding in Australia isn't just impacting humans, it's also forcing spiders to vacate their homes along swollen riverbanks. 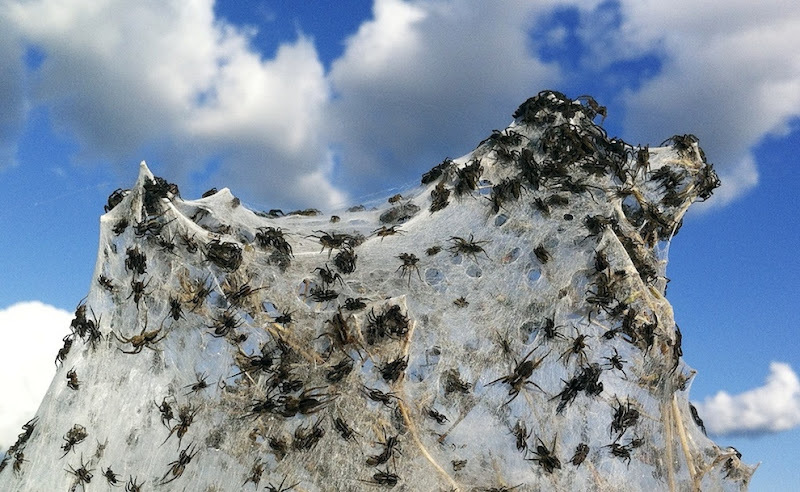 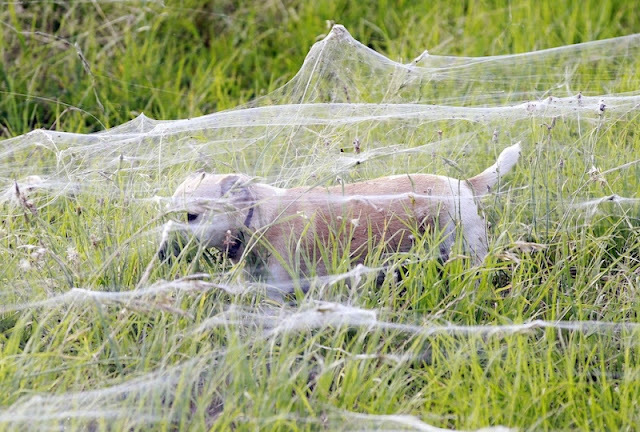 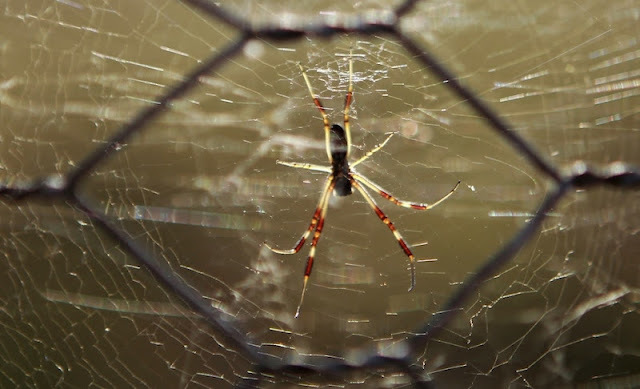 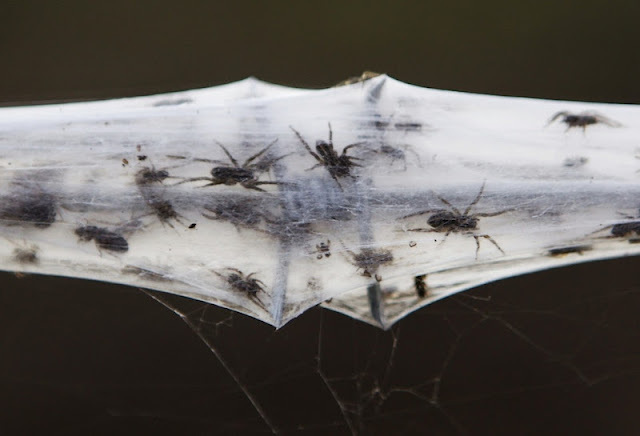 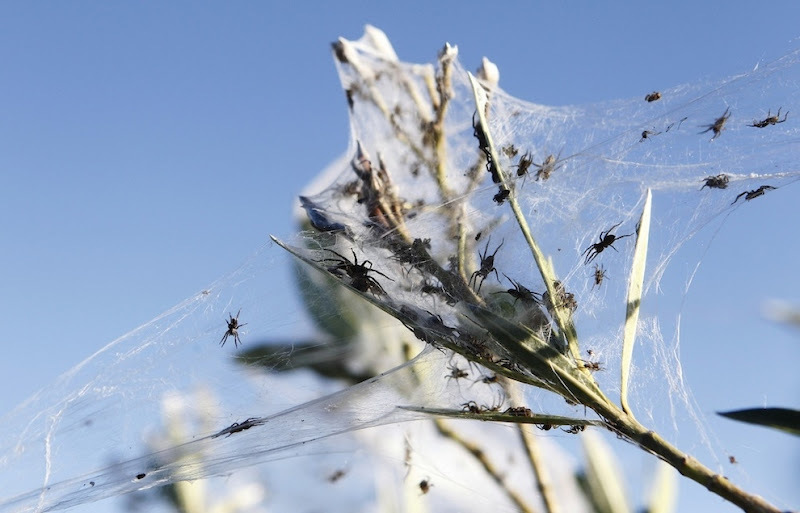 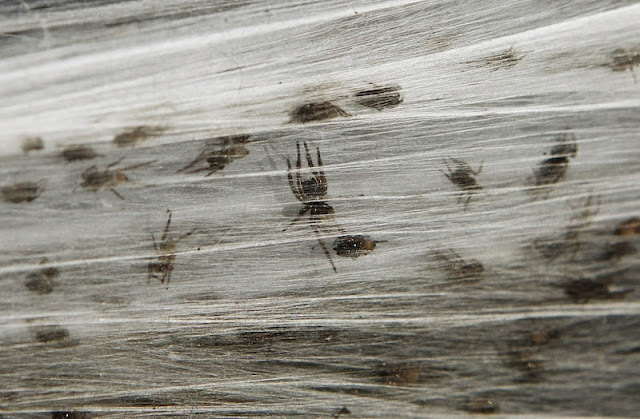 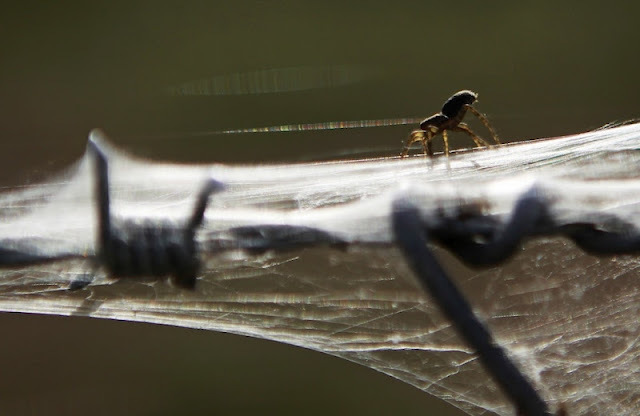 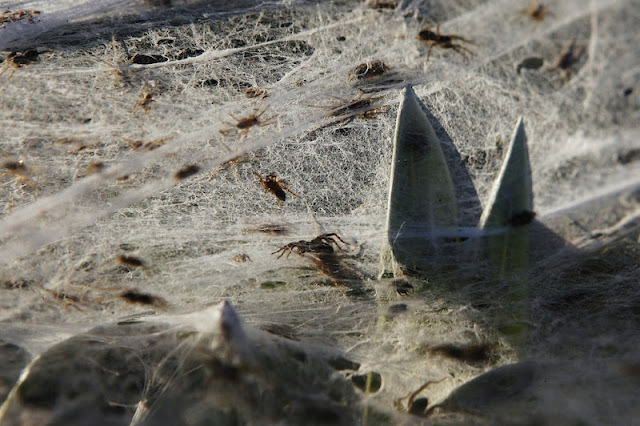 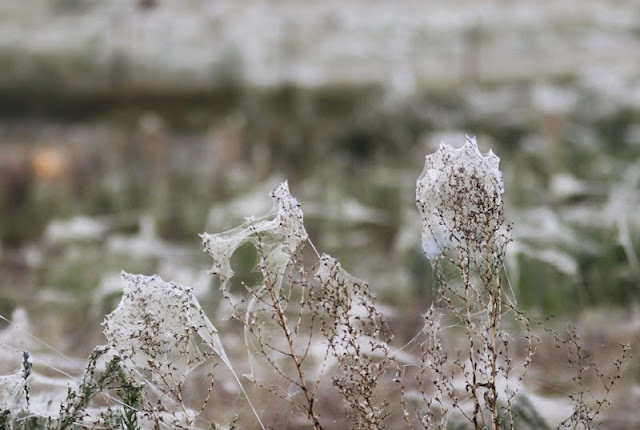 Here are creepily pretty photographs of a sort of spider refugee camp near an inland residential area. 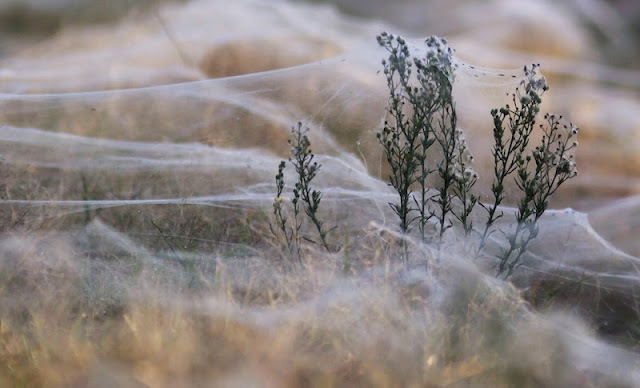 1 response to "Spider Web Forest Is Beautiful And Terrifying"